From time to time, Support may request files to be uploaded that are too large for emails or contain sensitive information. 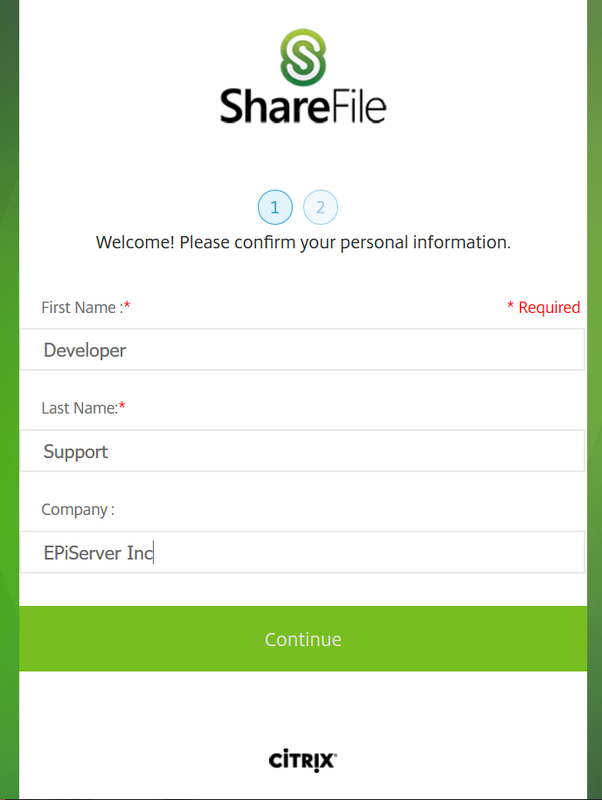 At times like this, use episerver.sharefile.com to upload the requested files. When files are requested, credentials should be forwarded to you by a support engineer (unless credentials have already been sent from a previous ticket). Use the one-time secret received from the support engineer to obtain the login password. 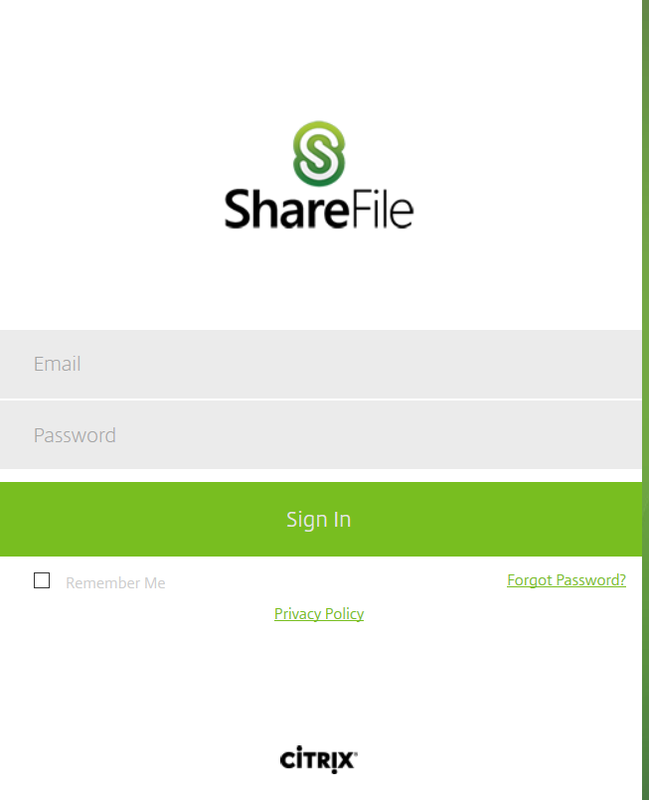 Navigate to the URL https://episerver.sharefile.com/Authentication/Login. Enter the email address referenced by Support and password from the one-time secret. Enter first name, last name, and company name into the resulting fields. Click Continue twice to complete the registration. The page should automatically redirect to a directory listing matching your company's name. In the below screen capture, the directory matches what a customer from a company called Episerver Inc would see. 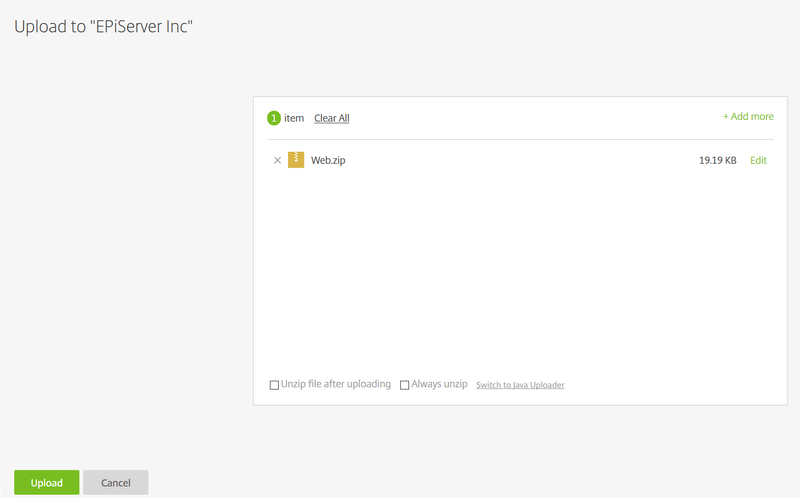 Click the folder to see the Upload page. Drag and drop the desired files into the browser. Once the upload has been completed, the screen redirects to a listing of all uploaded files. Notify Support that you have uploaded the files.